When winter arrives, would you still like to get outside and hit the trails? 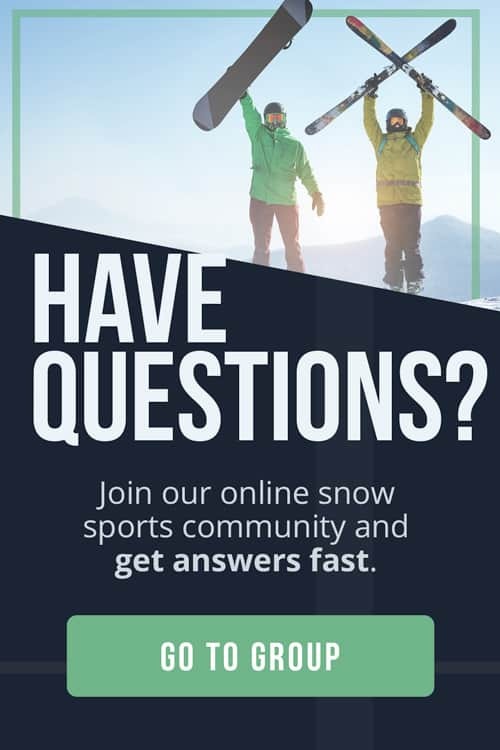 If your answer is “yes”, you’ll need a pair of great snowshoes and snowshoe poles. With snowshoes, poles and some warm clothing, you’ll be all set for some memorable winter adventures. So, how do you find the best snowshoe poles? That’s why we’re here! 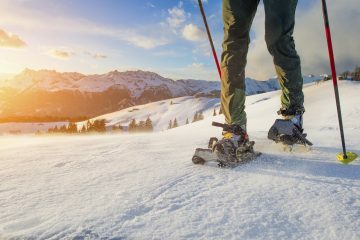 In this article, we have selected the best poles for snowshoeing on the market right now. 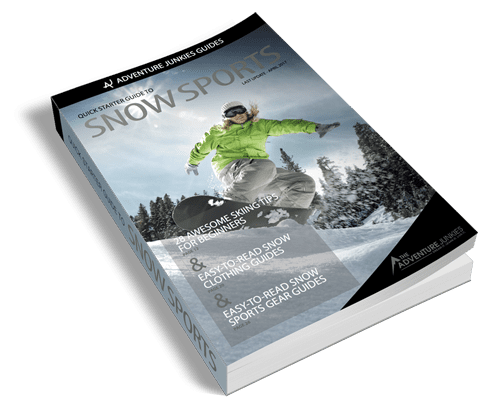 We’ll also give you some useful tips on what to look for when buying your next pair of snowshoe poles. Snowshoes are of course the most important piece of equipment you need to hit the trails in winter. They are, however, difficult to use without something to help you keep your balance. This is especially true when heading into more mountainous country. This is why you need snowshoe poles. 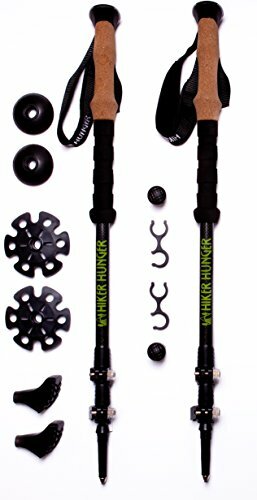 Snowshoe poles help to distribute your weight through your arms, shoulders and back. They offer an extra push when climbing a hill—similar to using a handrail on a stairway—and stability when descending. 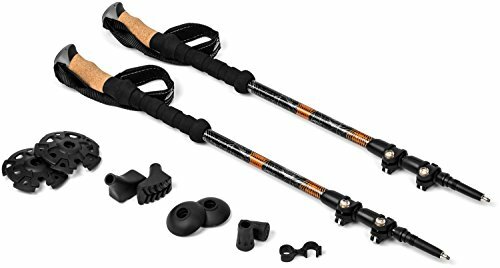 When searching for the best snowshoe poles, these are the four most important things to consider. 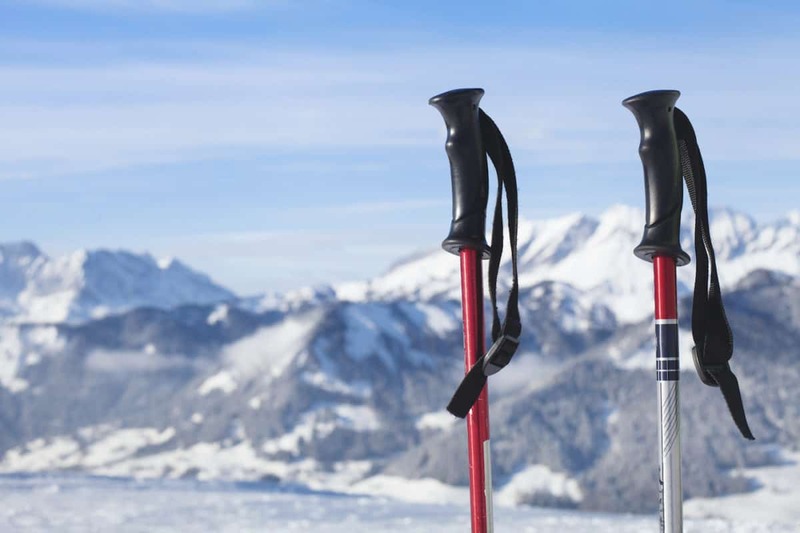 Adjustability is an important feature of any pair of snowshoe poles. You’ll want some that are easily adjusted and that are collapsible. 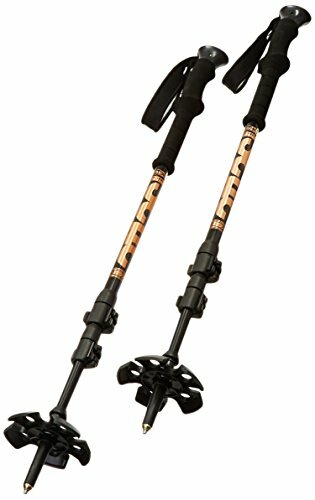 Snowshoe poles have either two or three telescoping pieces. Those with two pieces are longer when collapsed and require more space to store them. Three-piece poles are much smaller when collapsed and can be stowed in a very small space (like a backpack). Two-piece poles might be a tiny bit lighter, though. The length of three-piece poles is also much more customizable than that of two-piece poles. 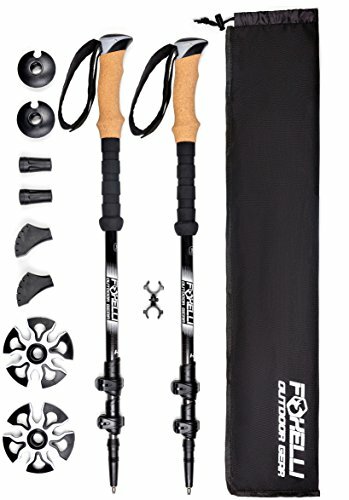 This could be useful, particularly when snowshoeing in the mountains. For example, ascending steep slopes is easier with shortened poles. During a descent, on the other hand, you might want to extend the poles so they can reach the ground in front of you. There’s a wide variety in grip materials and shapes. Many of them are ergonomically designed while others are simpler. Some are made with sweat-absorbent cork, others with foam or rubber. The only way to find out which one suits you best is to try them out. In the store, grab them, try them and you’ll quickly feel if a pole is comfortable or not. The best hand grips are those that have extended foam grips below the actual grip. 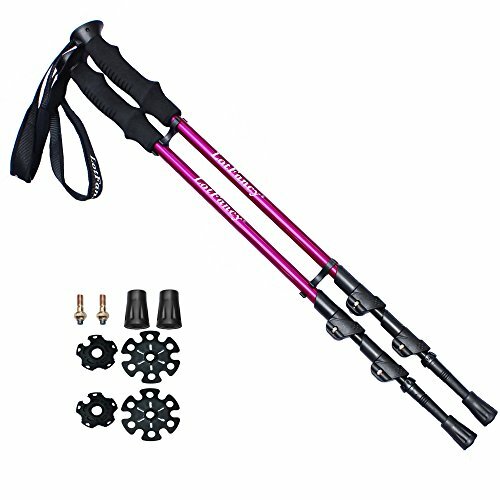 This allows you to shift your hand position up and down on the trail without having to adjust your poles’ length. 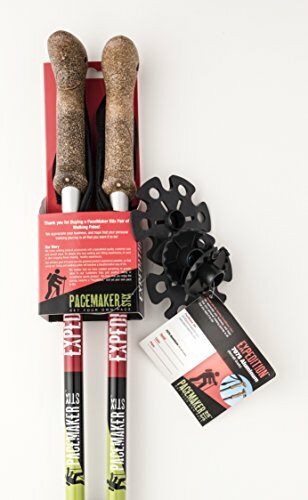 Many snowshoe poles are simply trekking poles with snow baskets. There really isn’t a big difference between the two types of poles. Just make sure that your poles come with snow baskets. 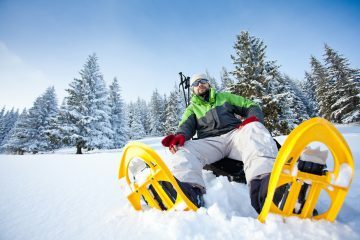 Just like your snowshoes prevent you from sinking into the snow, snow baskets limit how deep your poles sink below the snow’s surface. A diameter of two inches is the absolute minimum for snow baskets. Bigger is better. You’ll also notice that the best snowshoe poles come with more than one basket size. Although no snowshoe poles are particularly heavy, minimalistic hikers might consider this an important feature. If you’re trying to minimize weight, you’re advised to go for carbon poles. Carbon is lighter than aluminum, but know that it’s more prone to breaking, too. That’s not to say that aluminum is heavy, though. It’s pretty light as well. Carbon is simply even lighter.